I can't pick only one thing that I'm most looking forward to about this book, I'm just excited for it all! The secrets, the asylum, criminal psychology, how Grace will be assisting at crime scenes and a book that's a historical thriller?! Oh my goodness, yes please! Also, look at that cover. It's beautiful! I'm also a huge fan of the title too, I feel like it fits the summary so well. 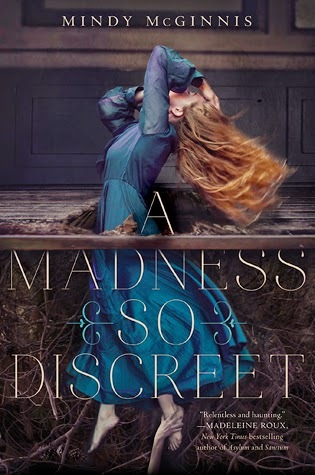 A Madness So Discreet is one of my most anticipated of 2015 so I cannot wait until October. It's going to be an awesome Fall read! I can't wait to read this book! I hope you enjoy it. Thanks for stopping by my post! I love the cover for this one. It looks creepy and gothic and awesome. Also kind of reminds me of The Madman's Daughter covers. I totally agree, it's so beautiful!